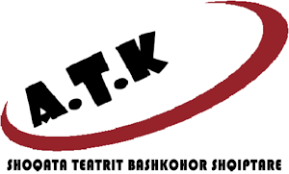 The Albanian Theatre Association (A.T.K.) is a non-profit organization actively contributing to the contemporary reflection on artistic performance at a regional and international level. Through educational and performing activities such as workshops, public debates, lectures, concerts, exhibitions, and public events A.T.K. promotes social sensibility. In the last 18 years, the Albanian Theatre Association has organised the International Contemporary Theatre Festival Skampa in Ebasan and Tirana as well as other collective projects, which have represented a unique opportunity to discuss themes of social interest and join together specialists from various fields and different institutions. Overall, the A.T.K. activities aim to involve new and broader audiences in public reflections about present-day matters through workshops, seminars, conferences and presentations, theatre and art performances. Interview with Xhuljano Brisku. Graduated at the Tirana Art Academy, Xhuljano, as a ‘Sunflower’ assistant production director, shares his impressions and feelings about the public’s reception of the representations that took place in December 2017 in the city of Elbasan and in Cërrik, in the district of Elbasan, Albania. Those who return must face great challenges to reintegrate within society as well as into the economic life of the country. Usually, the returnees exhibit identity issues as they do not really know where they belong to and often feel they are at the crossroads, between staying and leaving again.